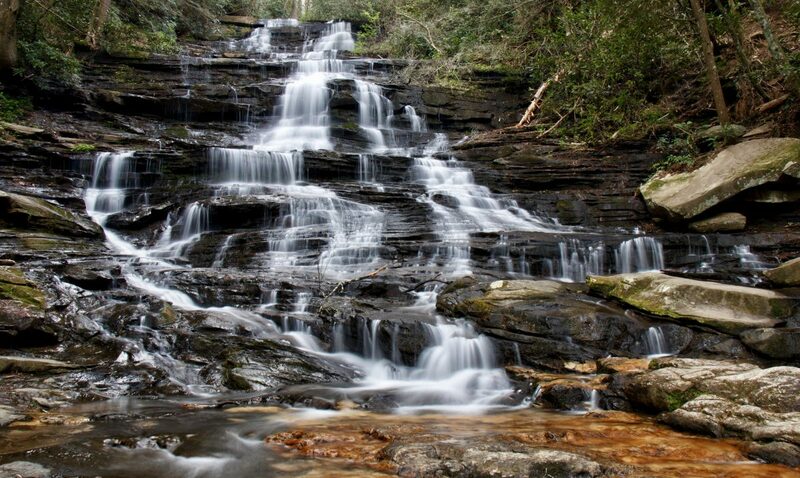 Yellow Branch Falls made such an impact on me on New Years Day 2014, that I vowed to return. While I was there, I had a major problem trying to photograph this very wide waterfall. The widest lens I had was the 18-55 mm kit lens that came with the camera. This was ok in most of the scenarios I had been until that point. This particular waterfall, which is wider than it is tall, took numerous attempts from different positions to get most of it all in one photo. I was happy for the most part with this photo from last year, but I knew if I was to return, I would need a wider angle lens. So, with a recently purchased Canon 10-18, I made my return, nearly a year later to the date. As soon as I turned the camera on, I knew I had plenty of new options. This allowed me stand right at the base this time and get great shots of Yellow Branch Falls as well as some surrounding scenery. I got shots from right in front, and from the side. 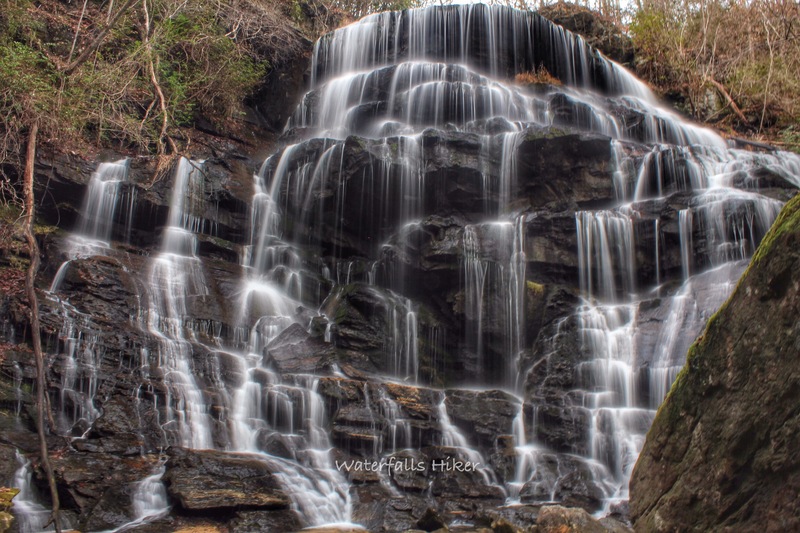 I am going to love this new lens and can’t wait to try some other challenging waterfalls that I already have in mind. 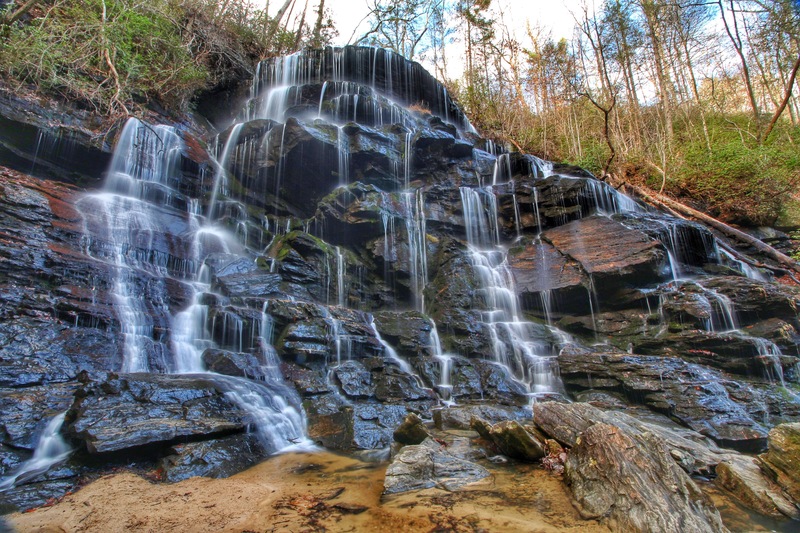 The trip to Yellow Branch Falls is about a 3 mile moderate roundtrip hike. For more details on the hike, I have them here from my hike last year to Yellow Branch Falls. This is truly a special place. Congrats on the new glass ! A much better perspective with the wide angle lense. Thank you Sal! It was a worthy small investment. It now has me backtracking to places already visited, in search on new angles and perspectives! a WONDERFUL SHOT! Def need a wide angle for the Yellow Branch! My friend and I hiked to this one in Summer of 2013, I have not been back, It is a very special place, we had a wonderful hike back and spent a few hrs picnicking and playing in the water like kids! I have now seen it twice in the winter, I now need to go see it on a day with lots of green around it I think. It really is a beautiful place. I could just set up a chair on the other side of the falls and relax for a day here.